Gold Cup Services provides the best in coffee, commercial grade coffee equipment, and all of your break room needs - One company, One mission, and Growing one customer at at time. All with No Forced Long Term Contracts. Allow our commitment to service be the only reason you need to business with us. Office Coffee Service - Gold Cup has been serving Salt Lake City, and the Intermountain West since 1994 with a handshake and a promise. We roast our own coffee, provide all of the national brands, provide commercial equipment, plus bi-weekly delivery and service. Gold Cup offers the best in both technology and coffee excellence. Bean to Cup systems with european style and great taste. Imagine espresso shots, great coffee, hot cocoa, cappuccinos and specialty drinks, all from one machine. Bean to Cup systems by Bravilor Bonamat, Bunn, de Jong DUKE, VKI, Cafection, WMF are perfect for the large office, providing the best for their employees and their guests. 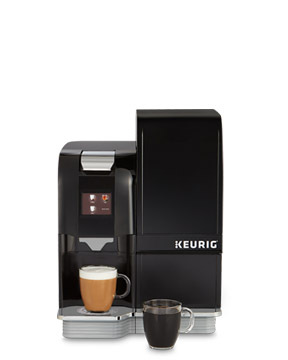 Single Serve systems by Keurig and Flavia. We carry the largest variety of coffee, cocoas and teas available, providing you with the commercial grade equipment usually no charge with qualifying purchases. Without these two vital concepts, you would be shopping online with no personal relationships. With us you get; real faces, local products, and equipment repair which supports our local economy. Allow us to show you what service means by winning you over every day. No long term contracts, no BS, no hard sales. Relax and allow us to take care of you.